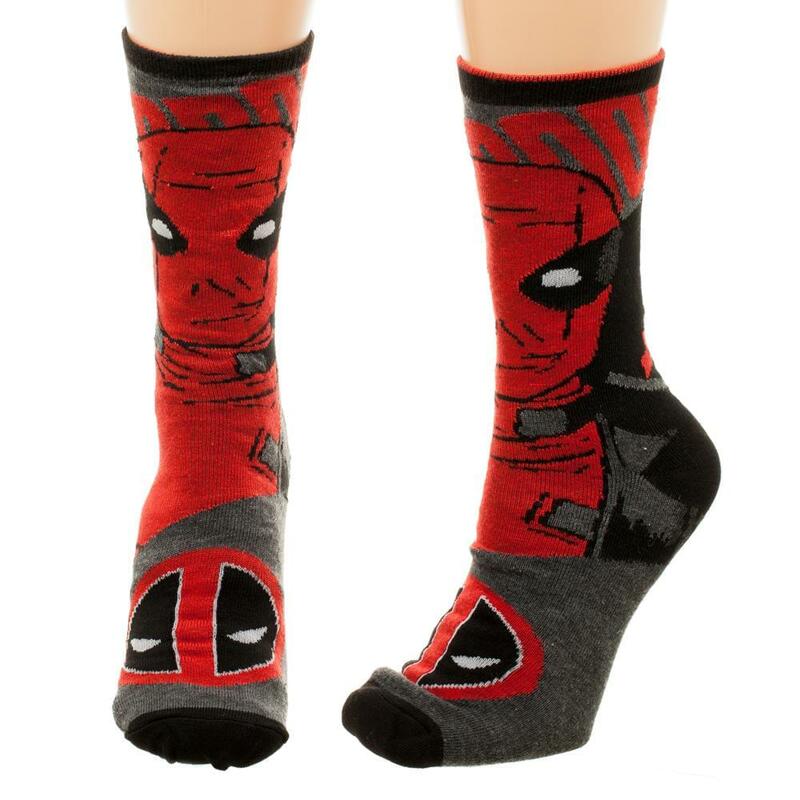 Marvel fans will enjoy these reversible Deadpool socks. It is like getting two pairs in one! Eye-catching socks feature a reversible multi-style design! Each side contains two different Deadpool images along with classic Deadpool logo. Wear mismatched or matched! Made of 98% Polyester, 2% Spandex, these one size socks fit ages 14+. Officially licensed. 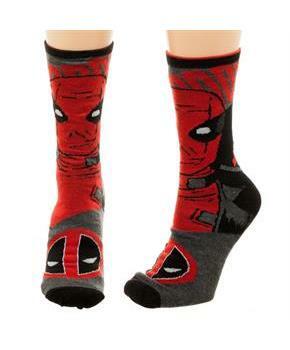 Marvel fans will enjoy these reversible Deadpool socks. It is like getting two pairs in one! Made of 98% Polyester, 2% Spandex. Reversible multi-style design! Each side contains two different Deadpool images along with classic Deadpool logo. Wear mismatched or matched! One size socks fit ages 14+.